Why Choose Debt Settlement? PCS Debt relief helps you explore all your options. You are shoulder deep in debt, overwhelmed, and can’t pay off creditors. Now what? Doing nothing will only exacerbate the problem. There truly is no better time than the present to get out of a bad situation. Fortunately you have options. Let’s explore them: Bankruptcy, Debt Consolidation, and Debt Settlement. A sure way to get your debt forgiven is bankruptcy. However, this comes with a cost; attorney fees, and a steep penalty. A filed bankruptcy (chapter 7 or 13) results in a public record. The derogatory mark on your credit report remains for seven years after your debt was discharged (date your filed bankruptcy was approved). This public record is viewable by anyone looking to get a picture of your credit history. Including employers (both current employers and potential employers). This demonstrates a lack of financial stability and a poor regard towards your financial agreements. Bankruptcy is a major deterrent to lenders. 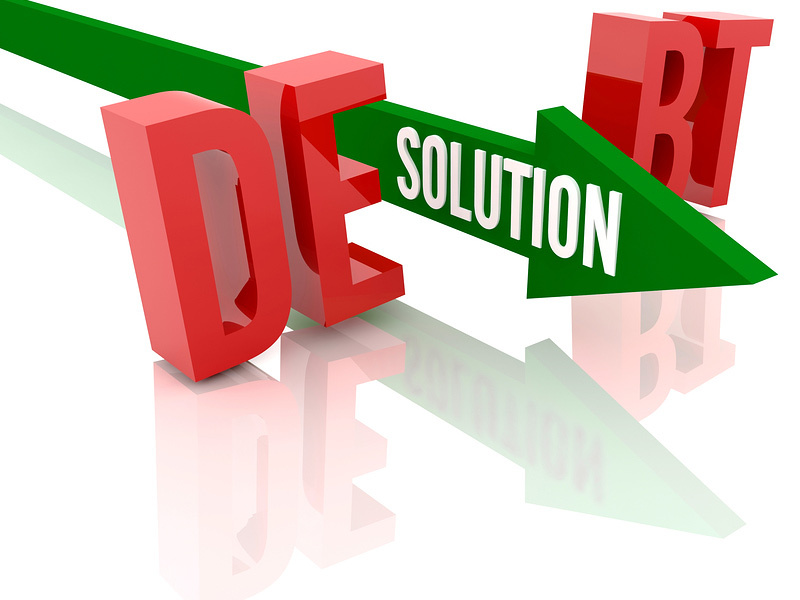 Debt Consolidation is a way to pay back all of your debt with a single monthly payment. If you are not in a hurry to have improved credit this may be a suitable option for you. Consolidation loans can appeal to those wanting to relieve the stress of juggling many creditor payments. However, you pay a premium to “stress relieving companies” in the form of interest. Debt consolidation companies often charge much higher interest rates than the previous rates your creditors charged. The solution with the most savings and fastest turnaround is Debt Settlement. PCS puts careful consideration into any client seeking to enter into a debt settlement program. Therefore, our advisors will only enroll you in a debt settlement program if it is the best option for you. A typical client saves 40% of their balance owed often times more. Unlike Bankruptcy debt settlement does not result in a public record. Our clients are in and out of the program without notice to any employers, nosey neighbors, or in-laws. Disclaimer: The information contained in this document is general in nature and provided as reference material only. This information is not specific legal advice about the application of the law to a particular fact scenario, nor does it replace (or purport to replace) any requirement to obtain specific legal advice. If you require specific legal advice about your own, your consumers’ or your organization’s position in relation to anything covered in this document, that advice should always be obtained from a qualified legal practitioner.